The keeper’s quarters, a plain frame dwelling, was built on a bluff on what became Farrar's Island after the completion of the canal. The house was moved in 1890 on rollers about 130 feet without the need of much repair due to erosion of the cliffs. Photo of remains of keeper's quarters on Farrar's Island. Right on Rt. 615 to Henricus Rd. 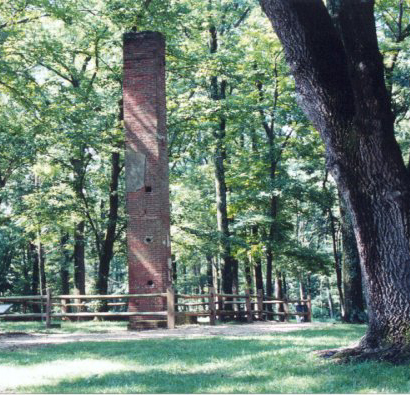 Follow for two miles to Dutch Gap Conservation Area/ Henricus Historical Park.